No. 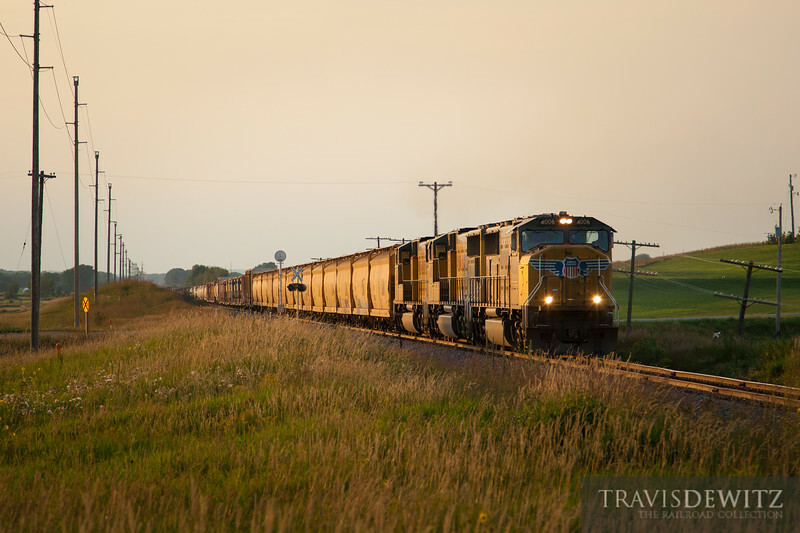 7775 - Union Pacific - Augusta, Wis. The daily manifest heads east across western Wisconsin farmland and countryside on the Adams Sub near Augusta.